An eight-member, groove based modern jazz band from Detroit, led by Ohio State jazz faculty trumpeter Kris Johnson, the group specializes in original compositions that utilize odd meters and combine both jazz and classical elements. Tickets are $10/general public; $5/senior citizens, Alumni Association members, non-OSU students and children. Free for ConcertCard holders. Free to all Ohio State students, faculty and staff (one ticket per BuckID presented in person). Advance ticket sales available at (614) 292-2295. “Excelling at atmospheric impressionism, the Ensemble also swings old school…Hollenbeck strives to preserve the big band tradition by infusing it with novel new ideas…” – All About Jazz. Tickets available at Wexner Center Ticket Office (614) 292-3535 or wexarts.org. $16 Wexner Center members; $18 public; $13 students. Directed by Ted McDaniel. 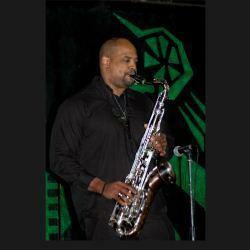 Featuring jazz saxophone faculty member Shawn “Thunder” Wallace as guest soloist in a program of swing and modern jazz. 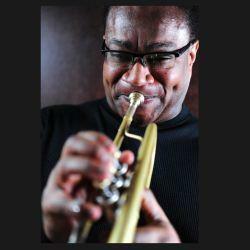 Featuring the Ohio State Jazz Lab Ensemble, Jazz Workshop, and Jazz Combos. 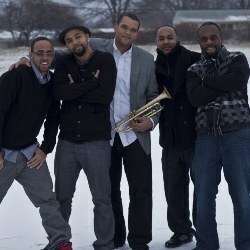 Led by post-pop trumpet stylist Pharez Whitted, this Chicago band has enjoyed critical acclaim with the release of “Transient Journey,” nominated for Best Jazz Album of the Year for 2010, and the 2012 album “For the People,” now enjoying a Top 10 rating by the Independent Music Awards. Tickets are $20/general public; $10/senior citizens, Alumni Association members, non-OSU students and children. Free for ConcertCard holders. Free to all Ohio State students, faculty and staff (one ticket per BuckID presented in person). Advance ticket sales available at (614) 292-2295. High school jazz groups from around Ohio will perform in concert. The Ohio State Jazz Ensemble will end the festival with a mini-concert. Open to the public.